How to effectively implement good mortgage advertising. Blog » What Your Mortgage Advertising Has Got To Do To Stay Compliant. Here’s a link to their description of mortgage advertising ads they find to be dangerous and misleading. This so they can protect the consumer and manage risk. They’re new guidelines are still being formed, but along with the FFIEC monitoring social media activity, it’s going to be harder than easier to advertise in the online mortgage space in the coming years. By implementing stringent mortgage advertising regulations in order to curb “rampant abuses” in Internet advertising, the FTC has severely hampered the efforts of legitimate advertisements for great low rates. Here’s What You Need To Know About The Condition Of Mortgage Advertising Regulation. As it stands today the best way to run a mortgage advertising /marketing campaign that brings in new leads while staying within the boundaries of the law is to be upfront and honest. Sure, employing advertising creative that generate leads requires a bit of ingenuity. But, misleading consumers for the sake of creating a lead (for a leads sake,) is not a productive marketing strategy. Thus, it’s important to constantly test your creative using A/B split testing (check out unbounce and optimizely for quick, efficient implementation of A/B split testing for ad creative,) and to never rely on bait and switch tactics to generate leads. 1. Avoiding the use of mortgage advertisements that offer very low fixed rate mortgages without discussing significant loan terms. 2. Refrain from using any type of symbols, images, or abbreviations that attempt to associate your company or product with the government or government agencies. 3. Avoid using ads that guarantee approval and offer very low monthly rates that don’t discuss the terms of these offers. Head to this link to see some examples of what to avoid with your mortgage advertising. A brief analysis will show that these loans are deceiving in nature. The first and second advertisements are attempting to use the an invalid association with governmental organizations by using a seal that resembles that of the U.S. government. This entices the consumer to make a decision based on a non-fact which is deceitful and misleading. The third advertisement indicates that the consumer is guaranteed approval for low rates and low payments. The problem here is that the ad is selling a promise that it can’t back up with confidence. By advertising low rates without acknowledging that the low payments and low rates are subject to change, the nature of this advertisement starts off deceptively and must remain deceptive through the close to honor the ads promise. So How Do Can You Create Effective Mortgage Advertisements? It might seem unfair that the FTC and the CFPB (Consumer Financial Protection Bureau) are making it difficult to advertise the amazing opportunities available to lenders. It’s not like every mortgage broker, realtor, or loan officer out there is attempting to rip people off. Unfortunately, a few bad apples can spoil the bunch, so it certainly makes your job more difficult. What has happened is that unscrupulous lenders and brokers have created advertisements that are less than honest. By avoiding being forthright about critical information that the consumer should be made aware of, these industry lowlifes they have made it difficult to advertise in conventional spaces like online PPC or direct mail campaigns. The important thing to keep in mind is that effective mortgage advertising is best done by using compelling advertisements that aren’t attempting to misguide consumers in any way, shape, of form. Internet hucksters have sought ways to game the system by advertising “great rates” and sweeping important information under the rug that is best disclosed up front. When important information like rate fluctuations, APR, loan length and the like are kept from the consumer, then consumers receive the short end of the stick. This creates a problem as consumers quick to take action on “limited time” offers are frequently taken advantage of when they don’t make fully informed decisions. Which then results in, you guessed it…increased regulation. Here Are Some Practical Ways To Implement Amazing Mortgage Advertising Campaigns. 1. Make essential information easy to find. If you’re advertising a low, fixed rate for a PPC ad or in an e-mail campaign…don’t make it impossible for the consumer to find all the details of the loan. When you do this you only hurt your companies’ credibility and drives away potential sales. 2. Disclose who you are in your advertisements. Again it’s important that you don’t rely on stealth or deceitful marketing tactics to introduce your marketing message. Consumers are hesitant to do business with scheisters.. and the prevalence of advertisements that attempt to get business by associating with a government agencies or the consumers’ current lender are creating problems for the entire industry. 3. Mention the APR right off the bat. 4. Provide FAQ sections for consumers on your main site. What will the monthly payment be for the loan, could it increase? What will the new payment be? Does the monthly payment take into account escrow amounts along with property taxes and homeowners insurance? How many payments will be needed to pay off the loan? Bottom line, a good way to stay within the current marketing advertising regulations is to be virtuous and rely on your business’s integrity to make sales. That being said, write powerful ad copy. Don’t settle on conforming to the standards of less than honorable business practices. 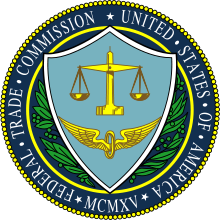 Are you afraid the current FTC regulations are too restrictive? What are you biggest concerns about generating leads with online advertising?